“Let the magic begin,” she said. And indeed, it did. 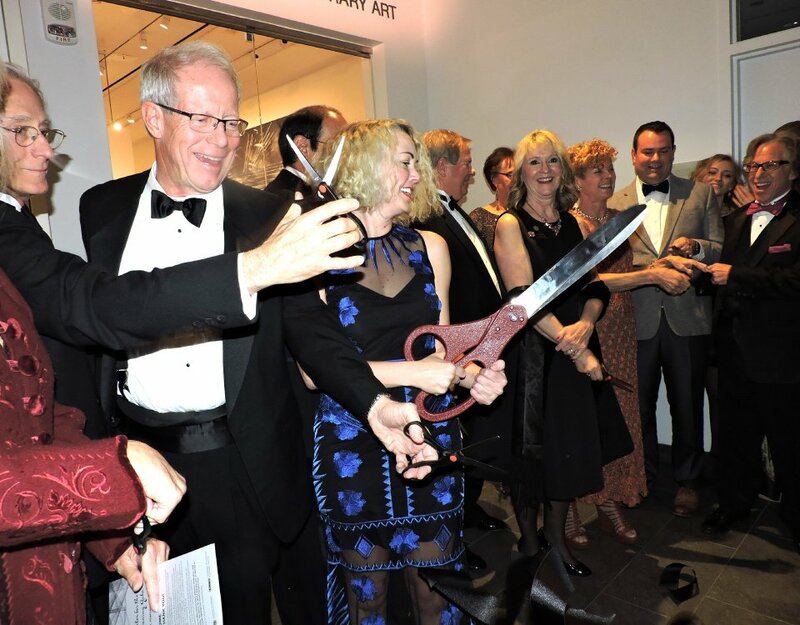 The dream had come true for University of Colorado Colorado Springs Chancellor Emerita Pam Shockley-Zalabak with a formal opening night gala in the state-of-the-art UCCS Ent Center for the Arts. It had been in the dream works since at least 2001, in the working stage since 2013 and is a spectacular glass-walled $70 million hillside center for the university’s Department of Visual and Performing Arts, five venues, the Gallery of Contemporary Art, TheatreWorks and music and dance. The 800 guests at the sold-out Feb. 3 gala exemplified the collaborative effort it had taken. Money for the center came from the university, Ent, the Colorado Legislature, CU’s Office of the President and probably $10 million from private donors and foundations. The Ent complex fundraising campaign had been spearheaded by sparkplugs Sally and Kyle Hybl who had also led a $1.5 million drive to name the theater in honor of beloved former chancellor Shockley-Zalabak. It had taken just two months to accomplish, they revealed. During the gala it was announced that Feb. 3 had been proclaimed Kyle and Sally Hybl Day by the governor for their multi-year work helping make the Ent Center a reality. 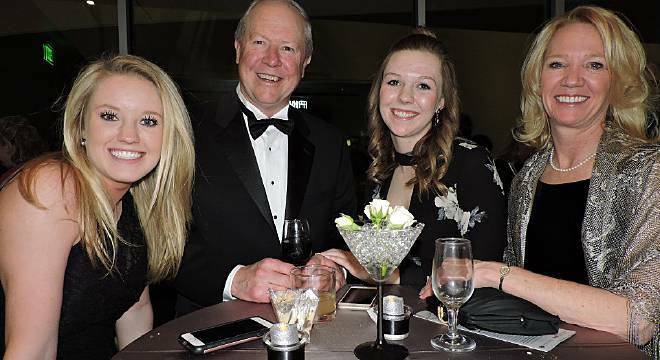 Donors, sponsors, those in the arts and education, UCCS staff and students, those who had designed and built the center, CU Regents and community leaders were treated to the gala evening exploring the venues and learning about all those for whom areas are named. They cheered the ribbon cutting at GOCA and heard an impressive Aaron Copland “Lincoln Portrait” by the Colorado Springs Philharmonic directed by Josep Caballé-Domenech. Some in the audience were nudging each other and exchanging glances when the tough words from Lincoln’s day narrated by Steve Wallace seemed to touch current political events. Gala sponsors were the Bee Vradenburg Foundation, Pino and Suzy Bassani, COPPeR, KCME and Adventure Culture Fund, Colorado Springs Philharmonic, The Gazette, Winslow BMW and Lee Spirits Company.